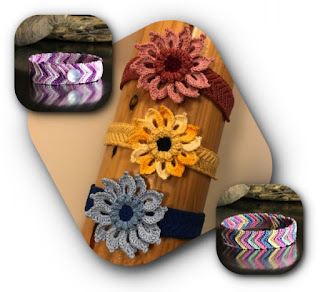 Welcome to my all inclusive crochet pattern page! 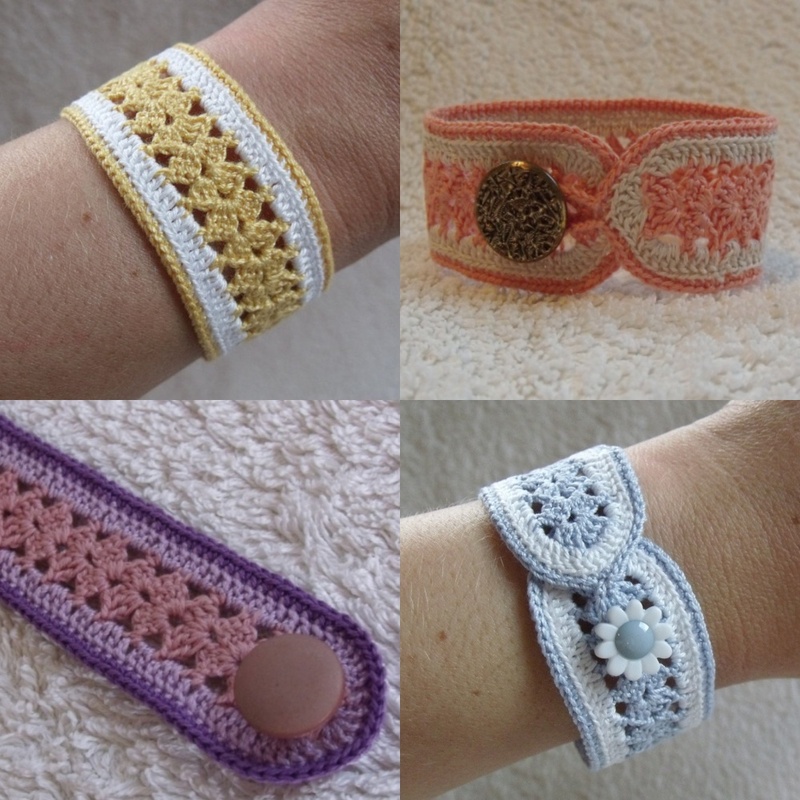 Here you can find all of my crochet patterns in one convenient place. Most of my crochet patterns are free but I do charge a nominal fee for some of them. I've clearly marked which one's I charge for (all prices are in USD) and which ones are free so there is no confusion. Like my knitting pages, I've included links to the venues that I carry my patterns. I've done this so depending on which distributor you are most comfortable with or what type of device you have, you'll be able to easily download any of my patterns. Some of the patterns are exclusive to this blog and you can only read them here. As a quick aside, if you go to my website, Kweenbee.com and use the word SAVE at checkout, you'll receive 50% off! This savings only applies to the patterns you purchase directly from my website Kweenbee.com. Barnes and Noble, Google Play, and iTunes all have designated readers that will open your pattern so you can read it on your device. They have a very straight forward and easy to follow way to do it. 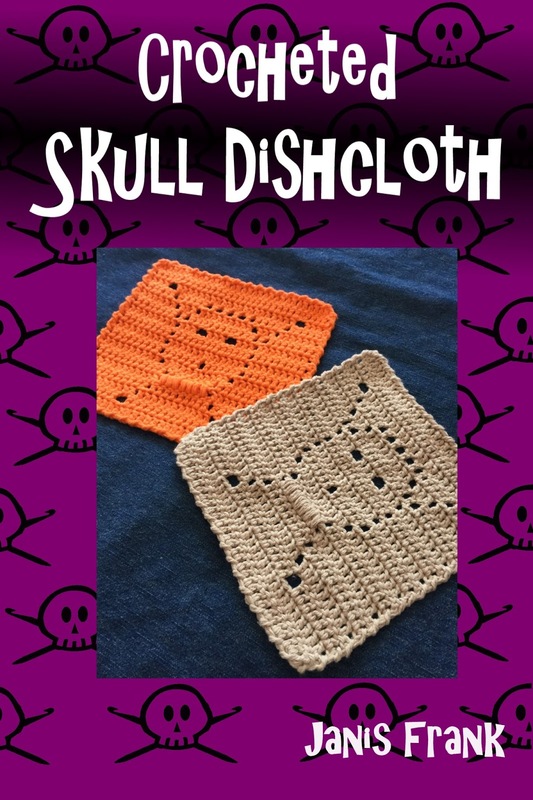 Amazon and Etsy only allow for paid patterns to be published, so if you have a Kindle then you can to go to to download the appropriate MOBI file. If you want a free pattern for your Kindle, you can go to Smashwords.com and download the appropriate file there. 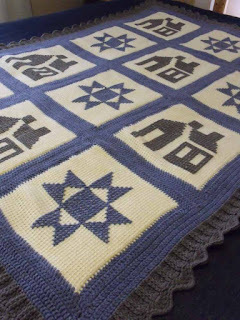 If you are looking for the PDF version of the file (free or paid), you can download it from either my website (KweenBee.com), Craftsy or Ravelry (when available). This will work on EVERY device but you'll need to have the Adobe Reader installed. When you open the file after you download it, your device or computer will prompt you to download the app from the appropriate app store if you haven't downloaded it already. If you've downloaded other patterns online, chances are you have it already. I truly hope you enjoy these patterns. 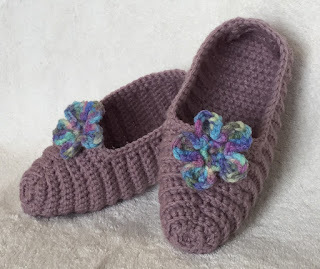 And as a quick note...whether my patterns are free or purchased you have permission to sell whatever physical items you make (slippers, bracelets, afghans, etc.) but you are NOT permitted to claim the patterns as yours or redistribute them in any format. Please download additional copies as needed. After quite some time of not writing much, I'm back on the bracelet train. This is a fairly easy pattern to make and because it's so repetitive, is very quick to finish. And if you're looking for something quick that won't cost much to resell, you may have found what you're looking for. Crochet isn't limited to afghans and throw pillows. You can make nearly anything and this pattern proves it! 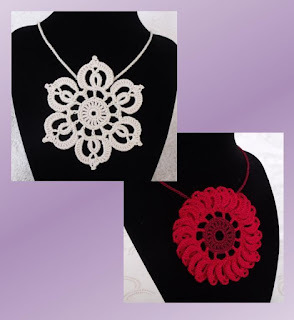 With this pattern you can make truly unique bracelets and necklaces. The look and feel of the final piece you create with this pattern depends entirely on the style of the charms you choose. The pattern itself is very easy to do and definitely one that a person new to crocheting could follow. I've also provided the pattern with two different edges. My personal preference is to end it with a backwards single crochet, but a single crochet in each stitch and row will also work. You can watch the EPIC trailer below. The video will start after the trailer. Keep scrolling down the page for links. Now with a complete video tutorial on YouTube! 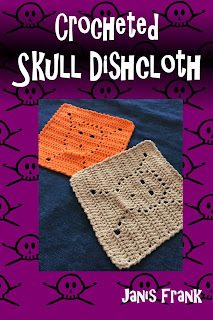 Click here to learn how to Crochet a Dishcloth. The third in my series of crocheted bracelets. This is a fairly simple bracelet to make and doesn't involve any complicated or unusual stitches. If you have successfully completed other crocheted projects, this should be easy for you to make. Looking for something unique to crochet? Look no further! I have a thing for bracelets (and slippers, but that's another story) and this is one of my most favourite things to crochet. Quick and easy to make, once you have made a few, it'll take you less than an evening to make one. This is also a great pattern if you have an extra special button that you just don't know what to do with, but want to show it off. You can use a muted colour such as white, or ecru to make it stand out even more. 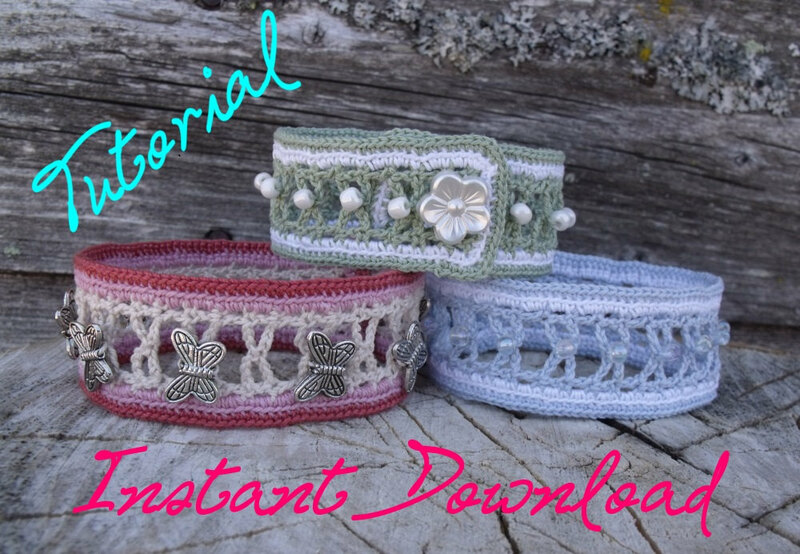 This pattern shows how to make a stunningly gorgeous bracelet from crochet cotton thread and inexpensive glass pony beads. Once again, the pattern could easily be extended, quite literally, into making a choker necklace. Included are a selection of photos demonstrating some less common techniques. Don't worry, they aren't difficult to master. If you have some experience crocheting, and if you can make a granny square, you will be able to make these bracelets too. a small monthly payment through PayPal. A while ago I decided to make an afghan using the afghan stitch . It's the second one I've made, but this time instead of using my left over yarn I came up with the idea to make it a little more fancy. The house and star patterns are done in a basic cross-stitch and really could be anything you want. It's amazing what one can do with little coloured thread, a crochet hook and a bit of ingenuity. The inspiration for these necklaces was originally the creation of a mandala. For those who are unfamiliar with mandalas, the idea is to create a balance of visual elements and this in turn symbolizes unity and harmony. With the creation of a mandala, it will help to pull these concepts from intention to manifestation in a person's life. And to be honest, who couldn't use a little more harmony and balance?! Once I created the mandala, it then further developed into the flower. It's a little more work to make than the mandala, but the final product works very well and makes a great statement piece.